We are a leading provider of expert cleaning services in Ramsgate. For more than a decade, our team of highly-trained cleaners have served hundreds of satisfied clients. Whether you require a weekly or bi-weekly cleaning for your home or office, Pristine Home can accommodate your unique cleaning needs. We also provide one-off spring cleaning to help you cut through winter’s mess. Need quality cleaning soon? We can come to your home or workplace as early as the following day. Just book a cleaner online and specify your desired date for the cleaning. With our domestic cleaning service, you can come home to a tidy place without doing all the housework yourself. We take over the time-consuming tasks such as getting dust off hard to reach areas, scrubbing bathroom tiles, and cleaning the living areas so you can spend your free time the way you want. We offer end of tenancy cleaning to help renters get their bond back. Instead of worrying about meeting your landlord’s strict requirements for vacate cleaning, focus your attention on packing your belongings and finding a new place to live while our cleaning team takes on the dirty work for you. Our cleaning technicians will clean marks off the walls, and clean the laundry area, bathroom, kitchen, and living area to prepare the property for final inspection. Maintaining cleanliness within your apartment may sound like an easy task, especially when you have a small living space and bedroom to vacuum and mop. But the reality is that apartment cleaning can prove to be a challenge when you are constantly time-crunched, and only have free time on the weekends. Good thing we offer a comprehensive apartment cleaning service that is designed to breathe new life into your living space, kitchen area, bedrooms, and bathroom. Vacating your current premises goes beyond simply leaving the property and transferring to a new place. Most lease agreements have a clause that discusses renters’ responsibility to broom clean the property before the final inspection to restore its original condition. To avoid forfeiting your deposit, call in trained cleaners who are familiar with the vacate cleaning requirements of landlords. We guarantee that the result of our cleaning will help you get your full bond back. Doing a regular cleaning of the bathroom is crucial to prevent germs from spreading. But let’s face it, no one really likes getting on their knees to scrub the bathroom tiles, and to clean the toilet bowl. If you dread this task but still want a sparkling clean powder room, Pristine Home can help. We will clean out your medicine cabinet, scrub the sink fixtures, disinfect the toilet, and wipe down shower rings to get rid of mildew buildup. To give your home a makeover, it is important to do a deep cleaning at least once a year, preferably at the end of winter. Our spring cleaning service includes dusting all surfaces, vacuuming and mopping floors, and wiping down frequently touched surfaces such as railings, switch plates and handles. Pristine Home’s move out/move in cleaning includes cleaning kitchen appliances, wiping down baseboards, scrubbing the toilet, and dusting all surfaces. We offer this service to make the transition to your new home a lot easier. Can’t Find Time to Clean? We can help! Cleaning the house takes time. It may even take the whole day to complete if you are doing all the hard work alone. If you want more control of your time, the best option is to outsource the cleaning to people who are experts at what they do. At Pristine Home, we understand that homeowners need assistance in maintaining a smooth running house. We provide our services with the goal of helping you keep a house that is free from dirt and bacteria. 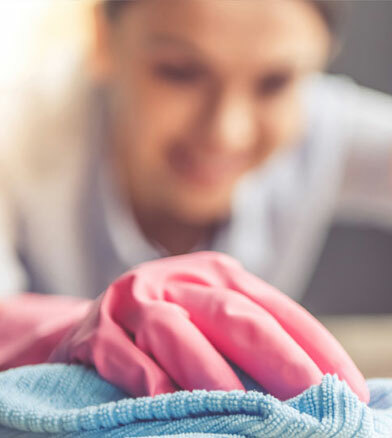 We offer quality cleaning services for a reasonable price to ensure that you get your money’s worth, and that you will be paying just the right amount for basic and deep cleaning services. We always strive to deliver top-notch cleaning services to all clients. So if you find that there are areas in your house or workplace that were not properly cleaned, simply let us know, and we will schedule another round of cleaning at no additional cost. Want Your Home Cleaned the Next Day? Booking our services is as easy as 1-2-3! Just go online to book a cleaner, approve the quote we will display for your chosen service, and let our team take care of everything else. The process takes less than 60 seconds, and you can get a cleaning appointment for the following day. Our clients continue to express their satisfaction with our services, and with the reliability of our cleaning staff. If you choose Pristine Home you are choosing the most efficient and effective cleaners in Ramsgate. With more than 10 years experience we are experts in getting the job done well. We clean 1000s of home every year. We are the most trusted cleaning business in the Ramsgate area and receive 5 star reviews regularly from our happy customers. Work with the trusted brand in home cleaning. We’ve serviced thousands of homes across Sydney and have countless 5 star reviews. You can trust our cleaners to look after you and your home. Our team are all personally vetted and trained with current police checks for each staff member. We clean homes all over Sydney and have 100s of happy clients in the Ramsgate area. Book in one of our cleaners online in less than 60 seconds and we’ll come to your home as soon as we can, to assist you with all your cleaning requirements.